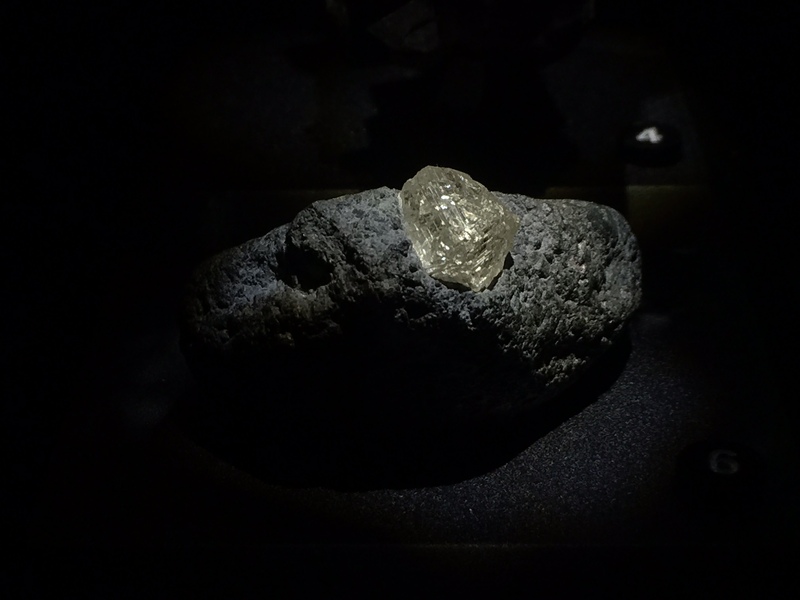 This large diamond, responsible for catching the eyes of many patrons in the Cullen Hall of Gems and Minerals was discovered in the late 1970s in Russia and acquired by the museum in 1985. Since the discovery of Kharbardin’s diamond deposit, billions of dollars’ worth of the finest quality of transparent diamond crystals have been unearthed. Melissa is the adorkable online marketing manager at HMNS. When she is not geeking out over digital marketing trends and social media analytics, you can find her hanging out at the museum with her family, photographing as much of the world as possible or with her kayak- looking for adventure.